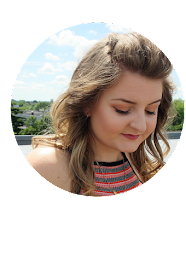 I've been using the Eye Of Horus Brow Fibre extend for awhile now and thought i'd feature it on my blog in a review as I've not done any beauty reviews in a while. I love my brows and I look really weird if I don't use product on my brows. I get them waxed every few months at Benefit and always wear product on them. I love trying new products and when I . received the Eye of Horus Brow product I was very excited to give it a try. It's kind of a tint for your brows, it has a tiny little brush. Similar to a mascara brush but smaller and you use this to apply the product. I have the shade Dynasty which is the medium shade, it also comes in a light and darker shade. As you can see the product is a medium brown colour. It's not very thick and it applies quite thin but is very easy to build up so you can add more definition to your brows if you prefer. What I tend to do is use a brow pencil to draw the outline of my brow and if i'm having a natural brow day I will just use the Brow Fibre and pencil to create a light natural definition. If i'm going out or I want a stronger brow I might use my NYX Tame & Frame Brow pomade as this makes my brows appear really thick and then I use the Brow Fibre over the top to bring out the hairs and make my brow look more natural and it also sets the brow. * This post contains pr samples. I have not been paid for this post. The post is honest and my own views. This place was truly amazing. I called to schedule an appointment and they were able to squeeze me in right away. As soon as I arrived, I was greeted with a warm welcome. Since I recently relocated to Walnut Creek from LA I was looking for a wax location came across this great place more info ….